All businesses in the digital age rely on analytics for various activities: Product managers rely on analytics to gain insights on product usage and optimization. Marketers rely on analytics to measure campaigns and ROI. 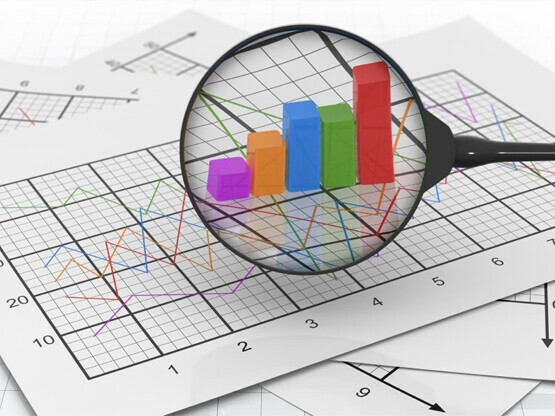 Business users rely on analytics to view the status of the business goals. There’s no doubt about the power of advanced analytics and BI, and how data-driven insights contribute to growth. The challenge is not only about tracking, storing and analyzing the data, but also about sharing those insights. B2B product, business and digital agencies have already graduated to advanced analytics. The next step for them is to serve their customers and partners by sharing the insights gleaned from the data. Customers and partners need to be able to answer two main questions: How is their product consumed? Who uses it and when? The answers to these questions are the foundation of any business’ strategy for product growth and optimization. Here are three stories about sharing insights, and how they benefited everyone involved. Businesses often have retailer or affiliate sites and are faced with the challenge of sharing insights, such as product and marketing campaign performance, with their partners without giving them full access to their advanced analytics platform. Take the case of Pace Media. A leading advertising agency serving customers with disruptive and exciting mobile gaming apps, they offer a collaborative approach to data by sharing campaign analysis and insights with their customers. Their customers are particularly interested in the impact of their ads in terms of downloads and installs. They would also like to understand the value of the ad performance compared to the cost. These reports allow them to understand which campaign ads are most effective, and which ones should they should pause. Webcollage, a company offering rich product content syndication and the ability to efficiently and intelligently distribute this information, has another approach to data collaboration. For them, insights such as how different brand products are performing across retailer sites and how users interact with content are the key to driving sales conversions. By constantly measuring and understanding buying behavior, businesses and their partners can more easily optimize the mix and location of the media, message and products they promote to highlight these products more effectively. For example, after seeing that a product on one retailer page receives significantly more views than another, they might decide to experiment with different ways of highlighting the product more effectively. Other reports, such as the most viewed products and how videos are performing by product and retailer sites, as well as start and completion rates, enable the optimization of products, video content and placement. Another important aspect of data collaboration is the ability to share the analysis of the steps from invitation events to the final conversion of purchase. For example, a business in the travel industry allows its partners this view of the steps of a conversion funnel analysis, with the ability to slice the data according to days or segment the funnel according to different regions. The insight for this campaign, below, shows that only the group from North Carolina completed purchases for group travel to the Grand Canyon. Partners now understand that groups from other geographic regions are dropping out of that funnel. In the future, the partner can offer a variety of group travel options in order to gain better insights into what types of group travel interests these customers. The ability to measure user behavior and share this behavior with partners provides them with a valuable tool to increase conversions and a significant advantage compared to other businesses in these industries. The ability to share data with customers also starts to build a level of trust– the kind necessary to encourage real business growth. Sharing the products, marketing campaigns and conversion funnels that are successful, as well as those which aren’t, will help create strong business partnerships for the long term.